In an aesthetic setting, laser energy has the power to resurface damaged skin, remove unwanted hair, and minimize the signs of aging, among other applications. 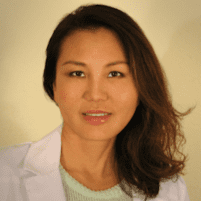 At Dr. Chow's Rejuvenation Practice in Lee’s Summit, Missouri, Amy Chow, MD, an aesthetic medicine and anti-aging specialist, they offer the benefits of aesthetic laser treatments. To learn about the available laser services that are coming soon to Dr. Chow’s practice, call the office or request an appointment online. What kinds of aesthetic procedures are lasers used for? There are numerous kinds of lasers and many of them are tailored to a specific aesthetic application. Who can get aesthetic laser treatments? Women and men who want to improve the texture, tone, and overall appearance of their skin can get laser treatments. In many applications, the laser technology is safe for all skin types, including darker skin tones. Aesthetic laser treatments are ideal for adults who want to improve the appearance of bothersome areas of their bodies without invasive or surgical procedures and lengthy recovery times. Most laser hair removal treatments permanently reduce hair from growing back in treated areas. Some women become completely hair-free after treating legs, underarms, or bikini areas, while others notice a significant reduction in hair that does grow back. Laser hair removal treatments permanently reduce the need to shave, wax, or tweeze unwanted hair. During a laser hair removal treatment, the laser energy penetrates below the surface of your skin to each hair follicle. The pigment in the hair absorbs the light from the laser, which destroys the follicle, so it can no longer produce new hair. Your skin remains undamaged. The knowledgeable team at Dr. Chow’s Rejuvenation Practice can advise you regarding how many treatments will provide optimal results so you no longer have to worry about areas of unwanted hair. Advanced laser technology for a variety of aesthetic procedures is coming soon to the Lee’s Summit office. Call for more information or to make an appointment, or use the online booking tool.